With A Franchise Brand That Has Your Back. Build your wealth while delivering extreme value to agents using HomeSmart International’s high-performing flat transaction-fee brokerage system. Finally, A Brokerage Model That Works. HomeSmart’s model enables startup brokerages to reach 100 agents or more in their first year. Building wealth isn’t about how much you take in, it’s about what you take home. RealTrends, RisMedia and Swanepoel all agree that HomeSmart is a hyper-growth real estate franchisor. A Better Experience Means Better Results For Our Brokers. HomeSmart International’s dynamic 100% transaction-fee brokerage model is the preferred approach by real estate entrepreneurs who want to build scalable, thriving businesses. HomeSmart Realty Advisors Recruit Nearly 100 agents in their First Year. HomeSmart’s Centralized Career Services and Centralized Agent Services provided a convenient and affordable way for this Philadelphia, PA-based brokerage to operate effectively with minimum overhead and expense, by providing the technology, systems and resources to help successfully hire, on-board and manage nearly 100 agents in their first year of business. HomeSmart Professionals is the Fastest Growing Brokerage in its Market. 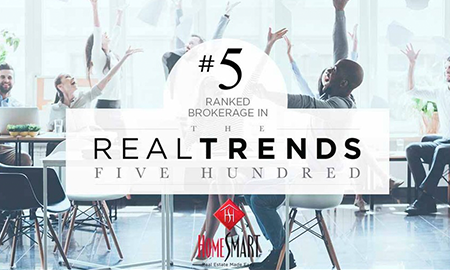 Through adoption of HomeSmart's brokerage business system, a high-value model enabled by cohesive RealSmart Broker and RealSmart Agent software platforms and integrated toolset, our brokerage in Palm Springs scaled from 45 to more than 430 agents and opened four offices in five years. HomeSmart Realty Group Expands to 247 Agents Across Four Offices in Under Five Years. 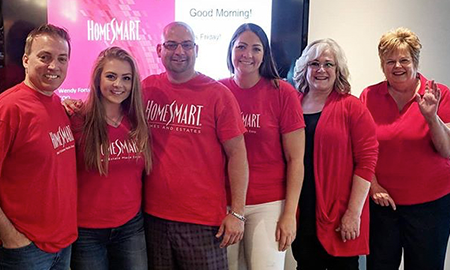 HomeSmart’s comprehensive brokerage business system has allowed our Oregon franchisees to focus on building the culture and community of their startup brokerage and enabled them to recruit and expand. Thanks to its paperless brokerage performance management software in RealSmart Broker and tools offered to agents in RealSmart Agent, their bottom line was not strained. HomeSmart’s back-office systems and proprietary RealSmart Broker and RealSmart Agent software have allowed HomeSmart Evergreen Realty in Irvine, CA to effortlessly take care of transaction-based and other operational tasks. This lead to increased support to agents and time for the brokers to focus on acquisitions and recruiting which has created sustainable, profitable growth. Results: HomeSmart Realty Group expanded to 247 agents across offices in Salem, Portland, Corvallis, Oregon, Vancouver and Washington in under five years. 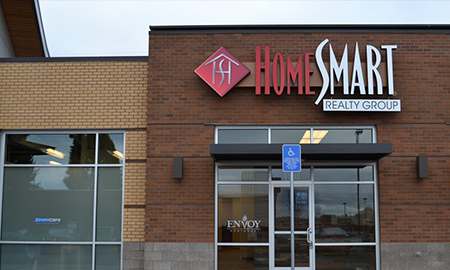 HomeSmart Realty Group in Salem, Oregon was started by three top performing agents who moved from a traditional commission split brokerage to become HomeSmart franchise owners. Changing from a traditional model to a 100% model or fee-based company had its challenges with bottom line and profitability, but HomeSmart enabled the young brokerage to recruit and expand thanks to its paperless system, transaction management platform and tools available to agents. In under five years, Jim Sparkman, Don Sturgeon and Mark Farrow have expanded what started as a 14 agent brokerage to a franchise with four offices and over 200 agents. After changing from a traditional model to a 100% model or fee-based company, HomeSmart Realty Group faced challenges managing profits and losses. 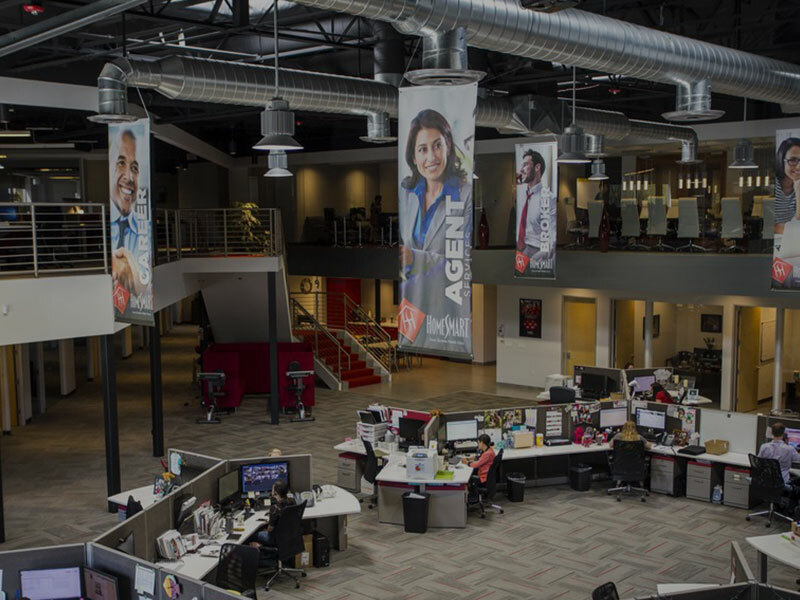 They were focused on building their office, so they did not start recruiting until after their first four months as a franchise. HomeSmart Realty Group needed to recruit and expand. HomeSmart International enabled the young brokerage to grow and attract agents with its paperless system, transaction management platform in RealSmart Broker and tools offered to agents in RealSmart Agent. The technology and tools offered, as part of the HomeSmart business system, allowed Sparkman, Sturgeon and Farrow to focus energy on building the culture and community of their start-up brokerage, which they knew would be key to success. If these tools weren’t provided by the franchisor, they would have had to go elsewhere to purchase them individually which would also further strain their bottom line. 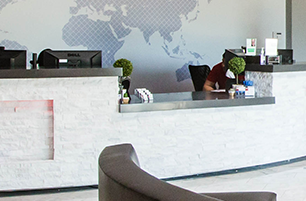 Results: Through adoption of HomeSmart's brokerage business system, the young company grew from 45 to more than 430 agents and opened four offices in five years. HomeSmart Professionals ranks as the fastest growing brokerage in its market and is currently #2 in agent count. The HomeSmart system and its tools are intended to be used entirely in order to enable franchise owners to recruit and scale efficiently. HomeSmart makes it simple to grow a company and build a brokerage because it evolves unlike the antiquated, traditional model. HomeSmart Professionals was a young brokerage with big goals of expansion. Designated Broker Rich LaRue desired a modern experience with time- and cost-cutting efficiency and to know that help and support was never more than a call or email away. No matter the state of the real estate market, HomeSmart’s high-value model, enabled by a cohesive software platform and toolset, continues to be the most reliable, high-performing approach that delivers consistency and growth. Real estate agents manage transactions from start to finish, and HomeSmart is focused on making it as easy as possible for agents to do their job. In addition to saved time on simple data entry, HomeSmart’s model puts operational standards in place for all aspects of the business. 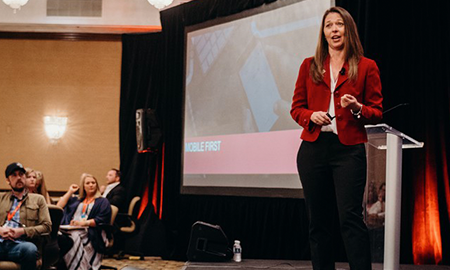 By making it easy to adopt their systems and tools, HomeSmart enabled its Palm Springs brokerage to grow from 45 to more than 430 agents in five years. The young HomeSmart franchise was challenged with recruiting while also having to juggle transaction management, broker support and technology efficiently. Rich LaRue needed to adopt a model that would make it easy to scale their business while managing costs and overhead effectively. Core to HomeSmart’s model is helping its franchise owners and brokers maintain a strong bottom line without sacrificing a high-quality agent experience. Its franchise operations team works with each franchise on model adoption to ensure their success. HomeSmart credits its high performance to the operational rigor it puts into every aspect of its unique brokerage model. From recruitment, to transaction management, to agent and broker support, its centralized services create optimal efficiency and service that scales. When agents join, they receive access to HomeSmart’s proprietary RealSmart Agent software that streamlines an agent’s business by centralizing transaction management, marketing and other business tools in one place. Upon hire, agents gain access to their information which is shared with their broker through integration with their broker counterpart’s dashboard, RealSmart Broker. In addition to saved time on simple data entry, HomeSmart’s model puts operational standards in place for all aspects of the business. HomeSmart makes model adoption easy for its franchise partners. 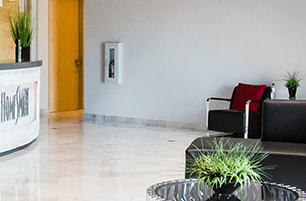 That includes helping meet standards for size, layout, amenities and décor for branch offices, and getting agents familiarized with the software and tools available to them. With the HomeSmart model, recruiting agents is easy. Results: The start-up brokerage grew from 0 to 96 agents in less than one year, thanks in large part to its participation in HomeSmart International’s Centralized Career Services. Last year, HomeSmart’s Centralized Career Services contributed an additional 26% new agent hires than what HomeSmart Realty Advisors would have grown on its own. As brand new franchise owners with zero agents, the brokers of HomeSmart Realty Advisors were challenged with growing and scaling their business efficiently and cost-effectively. As a start-up brokerage with little to zero income coming in, they needed the technology, systems and resources to help successfully hire, on-board and manage their agents without adding overhead. HomeSmart’s suite of centralized services allowed them to easily adopt the proven brokerage business system which contributed to them reaching nearly 100 agents in their first year. The brand new HomeSmart franchise would be challenged to grow based on its limited resources and staff. 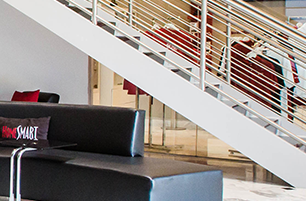 The brokers of HomeSmart Realty Advisors needed to find a model that supplemented their resources and grew their bandwidth so they could accelerate their business. HomeSmart’s Centralized Career Services and Centralized Agent Services provided a convenient and affordable way to adopt HomeSmart’s business system in order to operate effectively with minimum overhead and expense. This unique approach enabled the brokerage to operate at maximum efficiency and also eliminated any redundancies. Centralized Services offered them end-to-end recruiting services including marketing to target agents, cold calling, relationship building, setting appointments, integrating new hires into HomeSmart’s proprietary RealSmart Broker software platform and much more so that the brokers could focus on other growth areas of the business. Results: HomeSmart Evergreen Realty needed to leverage HomeSmart's brokerage business system to create sustainable, profitable growth. Randy Rector of HomeSmart Evergreen Realty in Orange County, Calif., has been running a flat-fee brokerage for more than 20 years. Before establishing his HomeSmart franchise, Rector desired to run a lean business efficiently so he could focus on acquisitions and recruiting, rather than risk management and contract questions. Unlike the traditional model and other flat-fee companies, HomeSmart’s systems take care of the transaction-based tasks leading to increased support to agents and higher profitability. Since, transitioning to HomeSmart Evergreen Realty, the brokerage business system has enabled them to scale beyond 1500 agents and rank on the REAL Trends 500. Flat-fee models are volume and transaction-based, so it’s crucial to keep costs low. Randy Rector was challenged with finding a back office system and software that allowed for efficient growth without adding overhead of technology and additional staff. HomeSmart Evergreen Realty needed to leverage HomeSmart's brokerage business system to create sustainable, profitable growth. Technology-centered business efficiency, productivity and scalability. The RealSmart Broker and RealSmart Agent software platforms, exclusively from HomeSmart International, are the foundation of an integrated experience that accelerates business for you and your agents. HomeSmart’s exclusive brokerage performance management software enables our franchisees to manage their entire business end-to-end from one place. The platform, which is included with your franchise agreement, centralizes a 24/7 paperless transaction system and broker/agent communications. Additional features include education portals, recruitment assistance and accounting integration. Real estate agents, like brokers, are challenged to do more with less. 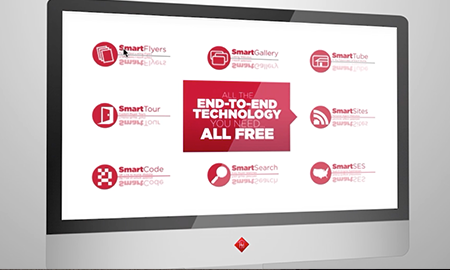 HomeSmart built its RealSmart Agent productivity platform to be a fully-integrated online system where agents can track transaction status, download forms, upload documents, access automated marketing and free marketing downloads, manage their online balances and even participate in online education and video training. The software's ease of use allows agents to close more transactions and work wherever and whenever they want — all while lowering broker support costs, phone calls and management time. Our franchise services team is proactive in getting you on the fast path to success. From the moment you sign your franchise agreement, a dedicated implementation lead will guide you through onboarding and immediately connect you to tools so you can start to build your brokerage. From SmartListing, to SmartFlyers, to SmartSites and more, HomeSmart makes sure our agents and brokers have the resources they need to be leaders in their market. Our SmartTools enhance each agent’s ability to run their business smoothly and efficiently without adding unnecessary costs or expenses. Expand your local training programs with national online and in-person development.. Your agents also get access to a national training calendar so you benefit from the online training programs offered by other franchisees as well. HomeSmart’s model is built on operational efficiency. To grow your brokerage, it’s critical to build a steady pipeline of agents that want to join your brokerage. Let us do it for you! Our centralized career services offering emails, calls and schedules appointments on your behalf. That means you can put your time and energy in other areas to accelerate growth. Manage your expenses while building local brand awareness. Additional centralized services like social media posting and monitoring, take more off your plate to keep your focus where it is needed most. 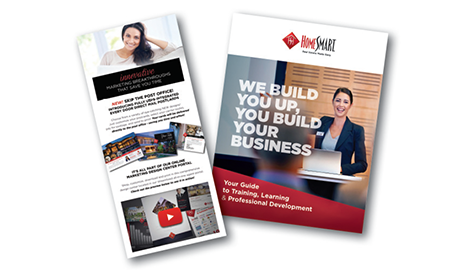 Plus, online tools like HomeSmart’s Marketing Design Center gives you access to branded marketing materials you can implement quickly. 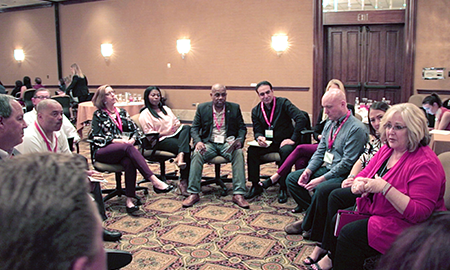 A dedicated live new franchise training program, online franchise community, monthly leadership meetings, regular mastermind sessions and an annual broker conference all give you an opportunity to learn from other franchisees in the HomeSmart International network. The support and guidance our franchise services team provides doesn't end when you open your doors. A dedicated business coach will work with you to continuously score your business performance and progress. We’ll make recommendations and keep you focused while providing resources so that you can achieve your business goals. 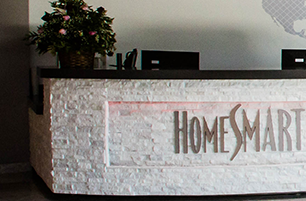 Featured on business lists like Inc. 5000 and Franchise Business Review’s Top 200 franchising organizations, HomeSmart and its franchisees are used to seeing their names in the spotlight. Recognized as a hyper-growth real estate franchisor by RisMedia, RealTrends, Swanepoel and more, HomeSmart International is poised to continue its expansion as the leading 100%, flat transaction fee model in the industry. Exclusive franchise rights in each market gives you room to grow while setting you up to collaborate rather than compete with HomeSmart’s inclusive network.